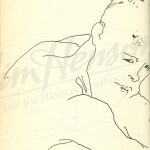 As Jim noted in his journal, 1979 was “A Very Major Big Year” that included awards and adulation for The Muppet Show, a new headquarters on Manhattan’s Upper East Side, extensive development work on The Dark Crystal, Kermit’s hosting of The Tonight Show, the purchase of a home in London, and the premiere of The Muppet Movie. To add to these very satisfying accomplishments, Jim made a point of recording a more personal one – a dinner with his wife Jane, celebrating twenty years of marriage. Jane was Jim’s first professional partner, and when they became romantically involved and started a family, she continued to be a guiding force and sounding board throughout Jim’s life. Working on both sides of the Atlantic, the Hensons were often on separate continents, but their connection was essential to the success of their team effort. The private dinner was at Julie’s, a London favorite for Jim (that describes itself on its website as “A magnet for over 40 years from the hippie generation and now to the ultra-cool London set. Julie’s has been referred to as the rock chick of the restaurant world.”) Two nights later, Jim and Jane shared a very public event: the Royal Premiere of The Muppet Movie. For this, Jim and Jane were joined by his stepmother and their younger son John along with Princess Anne! 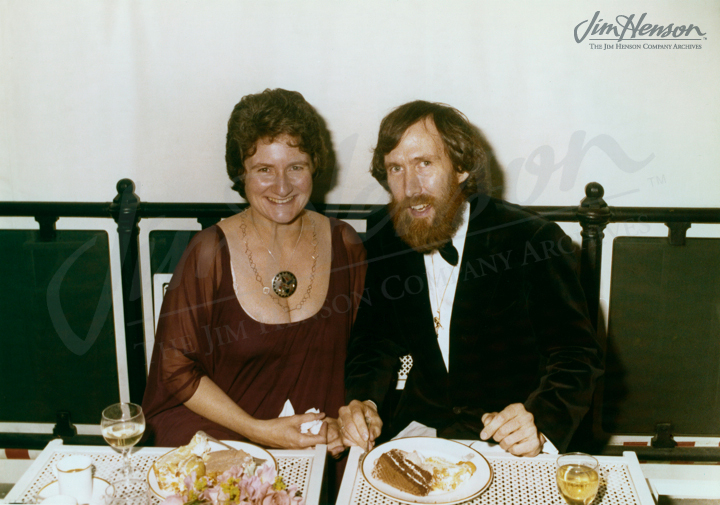 Learn about Jim and Jane’s early years together. 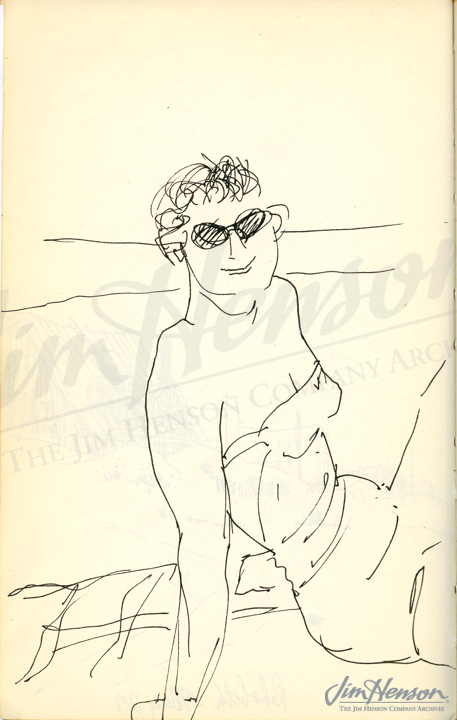 Jim’s sketch of Jane on their honeymoon at Rehoboth Beach, DE in May 1959. 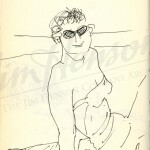 Jane’s sketch of Jim on their honeymoon at Rehoboth Beach, DE in May 1959. Jim and Jane Henson at a dinner in honor of Lord Lew Grade, 1977. 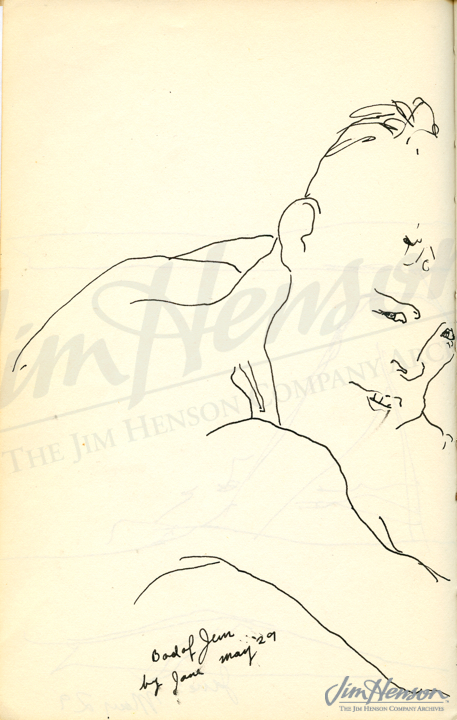 This entry was posted in 05-May '79, 1979, Family, Social and tagged Anniversary, Jane, Jane Henson, Julie's Restaurant, The Dark Crystal, The Muppet Movie, The Muppet Show, The Tonight Show. Bookmark the permalink.